The midsize car is the most popular, and convenient car ever. When you look for a family car, a personal car, or a car for a first-time driver, more than likely, you will take a look at quite a few midsize cars. We’ve put together a list of the 10 best midsize cars on the market for 2016. We review each model in terms of their performance, cost, style, standard and optional features, and their fuel efficiency. Check out the range of cars from brands such as Toyota, Honda, Mazda, and more. Every car here is worth a second look, and if you’re thinking of purchasing, we can give you all the information you’ll need! The Accord is one of the cars that has appeared on the list of top ten cars for the 30th time in car magazine history. It has the highest number of appearances over any other car. The 2016 Honda Accord’s the legacy goes as far back as the 1970’S. It comes with further design refinements and a more fuel efficient performance. The main pros of the Accord include high quality and exceptional handling balance as well as quick acceleration abilities. 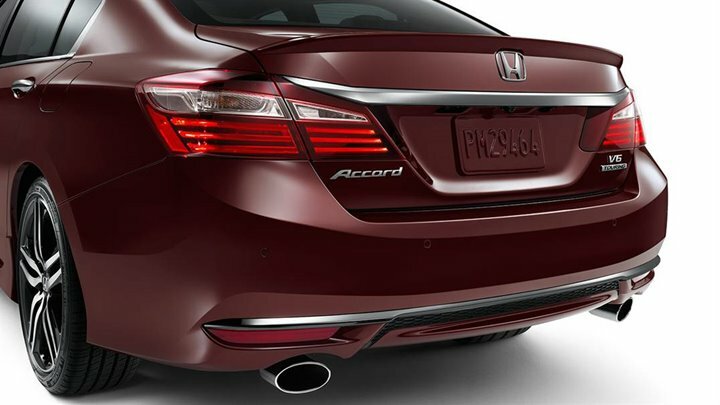 The Accord has been redesigned to look almost unrecognizable. A powerful grille trimmed with chrome, LED headlights and redesigned taillights make a lasting impression. Available in 9 different colors, with an optional one-touch power sunroof (on the EX model and above). It has a sleeker look with body colored side gills that make the sedan look more sporty than the 2015 model. A multi-functional steering wheel with a spacious yet easy-to-reach cabin is matched with super comfortable, cloth-covered seats, and a high resolution 8” touch screen display gives you quick access to AppleCarPlay, and Android Auto which comes as optional. The rear seats split 60/40 so there is extra cargo room when needed. A push to start button comes as standard from the EX model and above and you can opt for heated seats in the EX-L model and above. There is also a memory system available for the EX-L and above. The 16-valve DOHC i-VTEC inline 4-cylinder engine comes as standard for the Accord and is capable of delivering an estimated 185 horsepower and 181-pound per feet of torque. The EX, EX-L, and the LX are engineered with a 6 speed automatic transmission while the Elite and Touring trim levels come with a 9-speed automatic transmission system. The EPA fuel economy is estimated at 27 mpg combined i.e. 23 city and 34 highway. No matter which model you choose - there is a Sport, EX-L, and several others - the car is equipped with an Eco Assist system so you are being kind to the environment as well as getting great value for your money. Traction and stability control, antilock brakes, side curtains, front side airbags and a rearview camera are offered as standard. The EX, Touring, and EX-L trim level get the Honda Lane watch blind spot camera while the Elite trim level is designed with rear cross traffic alerts and a blind spot warning system. With its recently polished and highly improved cabin handling and quality, the 2016 Toyota Camry has remained one of the most compelling midsize cars. The car is comfortable with above average front and rear seats space, distinct luxury, good visibility, an excellent V6 engine, sport trim levels and user-friendly interior controls. Following last year’s model the 2016 Toyota Camry is more sophisticated, has improved designs and fuel consumption efficiency. User reviews have all been positive and it has become the best-selling car in the United States due to its impressive racing style, reputation, and quality. A new Special Edition trim level has been introduced and includes new features such as smoked tailgates, blue interior accents, and a sportier gauge cluster. 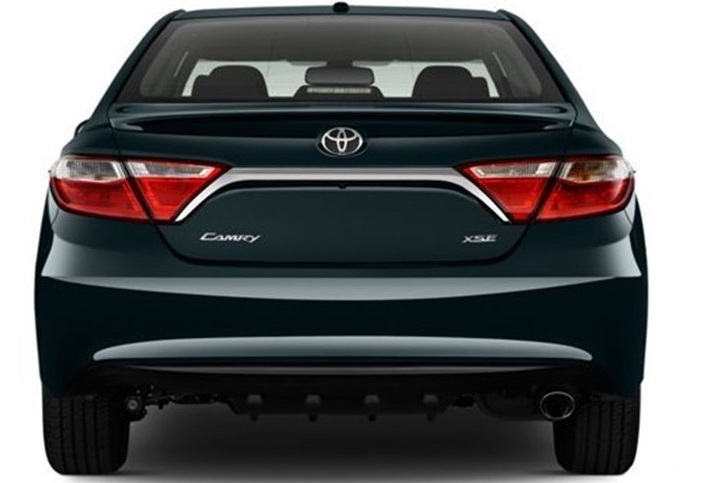 As a 5 passenger mid-size sedan, the 2016 Toyota Camry is available in SE, LE, Special Edition, XLE, and XSE trim levels. 17-inch alloy wheels, a sport trimmed exterior and sport-tuned suspension are offered as standard for the SE trim level. The Special Edition comes with an Entune Audio Plus Package together with 18-inch wheels and smoked taillights. 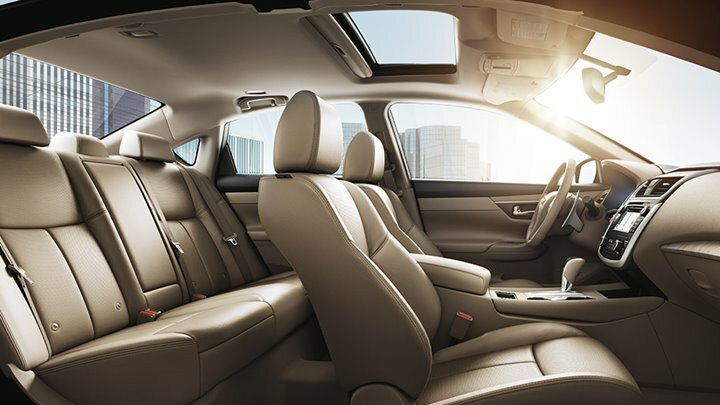 The Toyota Camry offers one of the most spacious and comfortable cabins for of any mid-sized sedans. The Special Edition trim level is engineered with a sports-themed interior styling which includes synthetic leather and cloth upholstery, paddle shifters, leather trimmed steering wheel and a 4.2-inch driver infotainment display. A convenience package which includes a hands-free trunk opening system, a keyless entry and ignition are offered on the SE and 4 cylinder XSE trim levels. A 6-speed automatic transmission system and front wheel drive are offered as standard for all the trim levels. Alongside the 6-speed automatic transmission system, a 2.5 l 4 cylinder engine which delivers an estimated 178 horsepower and 170-pound per feet of torque is also offered as standard. The EPA estimated fuel economy for the 2.5 l engine is estimated at 28 mpg combined i.e. 25 city and 35 highway. The 2016 Toyota Camry comes with antilock disc brakes, front and rear view side bags, a rearview camera and antilock disc brakes. A safety Connect package which features an emergency assistance button, stolen vehicle locator, and automatic collision notification is optional for the XLE trim level. This midsize car is described by its manufacturer as one of the most extensive midsize car makeovers in Nissan history. Starting at only $22, 500, it is an exceptional value. It became one of the top safety picks for 2016, the 2016 model has softened edges and sculpted lines giving it a more expensive exterior look than any previous model. Apart from receiving a set of advanced safety features the 2016 Nissan Altima also comes with a mid-cycle styling refresh and a sporty SR model. As a medium-sized sedan, the Nissan Altima is offered in 5 trim levels; the S, Base, SR, SL and SV trim levels. 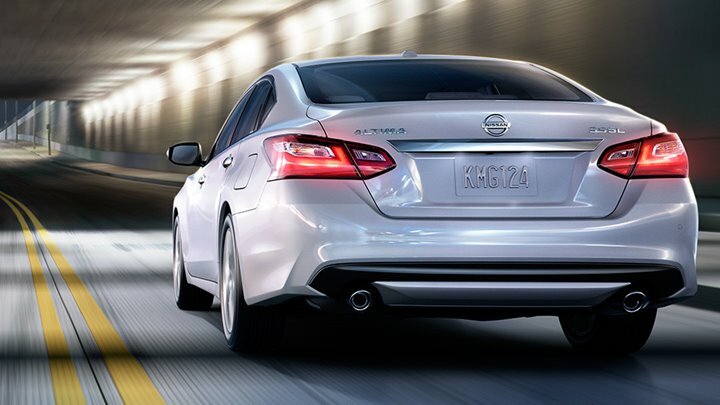 The Altima has external ground lighting to add security and style to your Altima. The rear decklid spoiler adds a sporty look to the car and comes pre-painted to match the color you choose. The exterior is designed to not only turn heads but to aerodynamically move with less drag. 18” aluminum alloy sport wheels give better performance as well as adding serious style. The changes to the vehicle’s interior are restrained when compared to the exterior design changes. The quality of the materials and general design are decent for this class. Nonetheless, despite the superb quality of materials used, the 5” infotainment system is somehow outdated. The vehicle’s font seats are exceedingly comfortable thanks to Nissan’s zero gravity design. The rear seats offer enough legroom and headroom for an adult. Drive assist display, Bluetooth connectivity, and tire pressure monitoring are just a few of the features that come as standard with the 2016 model. An advanced drive-assist display comes as standard as well as push button ignition. The 2016 Nissan Altima is powered by 2.5l 4 cylinder engine which delivers an estimated 182 horsepower and 180-pound per feet of torque. Apart from using a 2.5l engine, the 2016 model comes with a continuously variable transmission system and a set of stepped up gears which makes the vehicle feel like a conventional automatic. The EPA fuel economy for the 2016 Nissan Altima is estimated at 31 mpg combined (i.e. 27 city and 39 highway). A stability and traction control, antilock brakes, full-length side bags and front seat side bags are offered as standard. For the 2.5s trim level, a rear view camera is also offered as standard. Mitigation systems and forward collision highway are offered with the SL trim level. The eAssist mild hybrid powertrain is dropped and in its place is a brand new2.4l engine is selected. Other changes include the new Sport Appearance package and a freshly revised trim level. The latest Buick Regal model is by far more poised and more sporty in the GS trim. It is still a Buick model at heart and it retains the Buick’s penchant for greater comfort. The base 1SV Regal has been engineered with 18 inch alloy wheels, fog lights, automatic and heated power mirrors. The Premium II models features a rear parking sensors, xenon headlights and a 110 volt power outlet while the GS comes with 19 inch wheels and unique rear and front fascia. 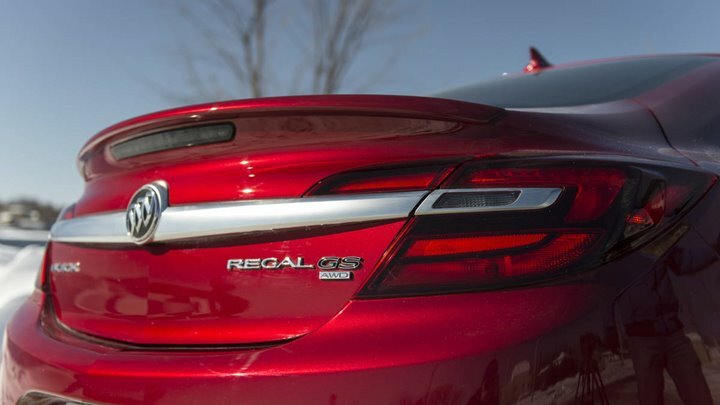 With a sleek, sporty exterior the Regal comes available with high-intensity-discharge xenon headlamps, and a power controlled sunroof. The 2016 model comes with minimal button clutter and a sleek dashboard. The quality of the material used is satisfactory while the overall appearance of the vehicle is upscale. The IntelliLink Infotainment system is powered by a standard 8 inch touchscreen. Apart from the 8 inch infotainment system, the vehicle also comes with an Android Integration system, Apple Car Play and Pandora radio compatibility. 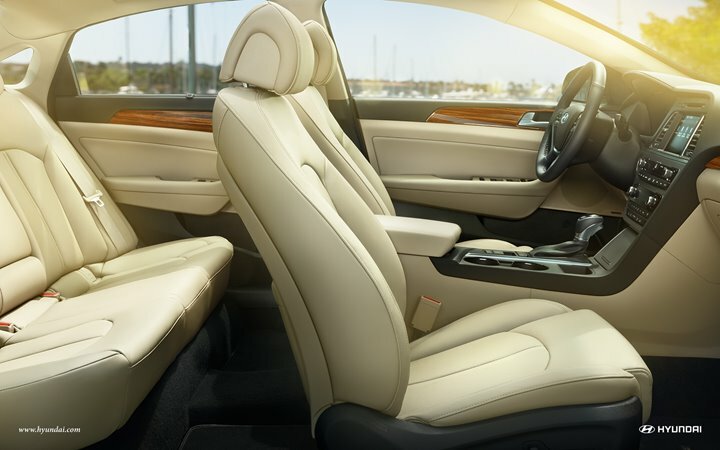 Sturdy, supportive, leather seats are the mainstay in the Buick Regal’s interior. Along with a sport steering wheel, the bucket seats give you the impression that you’re actually in a race car. A 2.4l 4 cylinder engine which is capable of delivering an estimated, 259 horsepower and 172 pound per feet of torque is offered as standard. Despite having a powerful engine, the EPA fuel economy is estimated at 23 mpg combined (19 city and 31 highway). The exterior design along with the rear cross traffic alert technology, the lane departure technology, and forward collision alert, among many other safety features allows you to get a professional driving feel, with all the safety you can imagine. Stability control, antilock disc brakes and full-length side curtain are offered as standard. The OnStar system which features an automatic crash notification, a stolen vehicle locator, an emergency button and on demand road side assistance is also offered as standard. 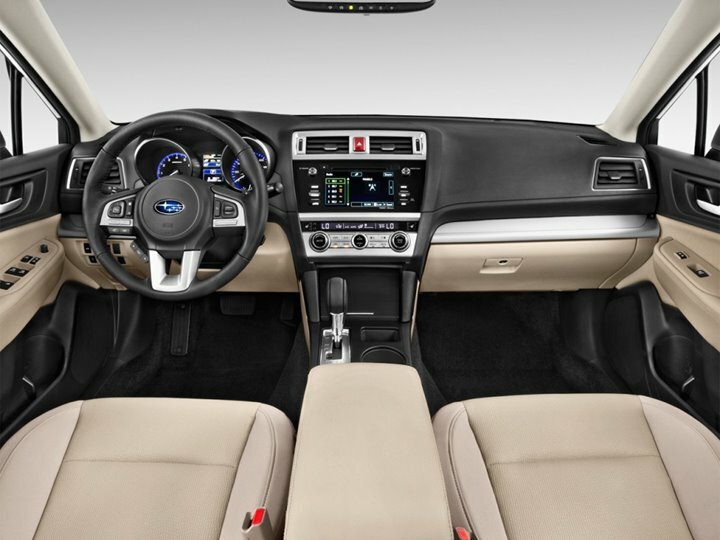 The 2016 Subaru legacy’s steering wheel has been freshly revised, giving it a much better feel. The Limited and Premium trim levels have been concocted with cloud-based infotainment applications, while the Limited model gets a set of shock absorbers giving it a much smoother ride. The 2016 Subaru Legacy is available in 4 trim levels, the 2.5i, 2.5i limited, 2.5i premium and the 3.6 R trim levels. The base model comes with 17 inch wheels while the 2.5i Premium comes with 17-inch alloy wheels, windshield wiper de-icer, and heated exterior mirrors. Available Options for the Premium trim level include 18-inch alloy wheels and a blind spot warning system. When compared to the earlier models, the quality of materials used in the 2016 model are of an outstanding quality. More cushioning has been included at common touch points such as the center console and the armrest. An optional touchscreen navigation system which offers crisp graphics has also been included. Another outstanding feature that the 2016 Subaru Legacy offers is the vehicles outward visibility. 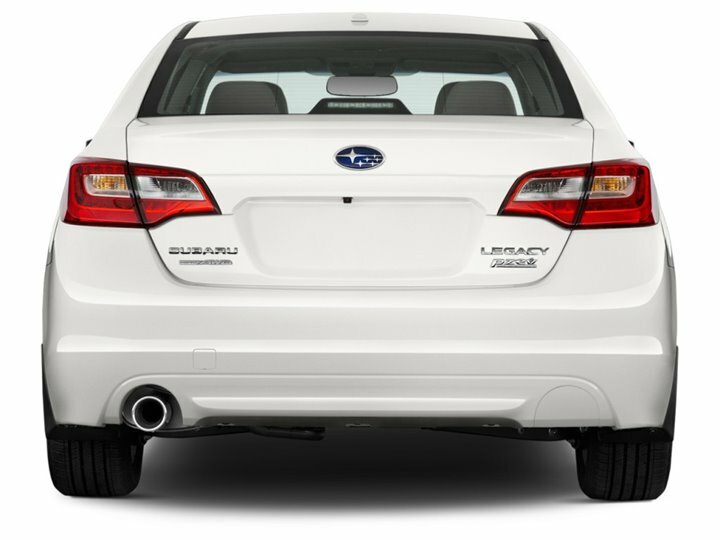 The supportive and firm seats together with a slightly raised raising position makes the 2016 Subaru Legacy makes it the most comfortable Sedan. The Subaru Legacy offers 2 engine types; a 3.6l 6 cylinder engine and a 2.5l 4 cylinder engine. The 2.5l engine delivers an estimated 175 horsepower and 174 pound per feet of torque. The EPA fuel economy is estimated at 30mpg combined i.e. 20 city and 29 highway. It’s a solid pick especially if you live in an area that is frequently affected by heavy snow and rainfall. It’s engine is equipped with electric throttle control, and active valve control system. Antilock disc brakes, a rear view camera, seat cushion bags, side curtain airbags are offered as standard. On the Limited and Premium trim levels, the 2016 Subaru Legacy Outback is engineered with a Starlink connected Services system which features an automatic collision notification and emergency assistance system. Other key safety features include the optional security plus and Safety plus upgrade that adds remote vehicle locating, remote vehicle access and stolen vehicle recovery. The 2016 Hyundai Sonata comes with a 7 inch touchscreen as standard for all the trim levels except the Limited 2.0T which comes with the usual 8.0 touchscreen. Automatic headlights and rear view cameras are standard for all the trim levels. Another additional feature is the automatic emergency braking system which debuts on the Hyundai Limited 2.0 Trim level. Very few changes have been made since 2015 to the Sonata, it tends to sacrifice a luxurious exterior for a more luxurious interior feel - comfort is guaranteed in the 2016 Sonata with a better suspension and an easier steering. The Hyundai Sonata is available in 5 trim levels, the Sport, SE, Sport 2.0T, Limited 2.0T and SE trim levels. The SE trim level comes with 16 inch alloy wheels, automatic headlights and full power accessories. The Eco and Sport trim levels comes with side mirrors and LED daytime running lights while the sport trim level comes with 17 inch alloy wheels and unique body styling upgrades. 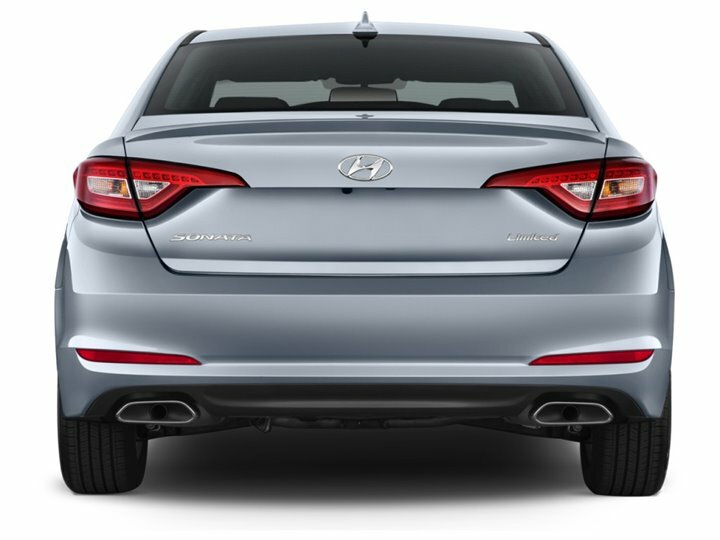 The 2016 Hyundai Sonata’s cabin is not only cavernous but also exceedingly comfortable. It offers a lot of room in the rear seats which come in handy when ferrying kids and friends. The Sonata Limited is designed with two tone color schemes and a resounding wood grain trim. The Sport 2.0T trim level is engineered with thickly emboldened sport seats which offer the driver with lateral support especially during sprints. The vehicles control layout is not only easy to use but also very straightforward. With a hands-free smart trunk you can open your trunk even when your hands are full so long as the key is within 3 feet of the car! There is an audio system that is displayed on a 7” color LCD touchscreen with inbuilt smartphone/ USB and auxiliary input jacks. And Bluetooth connectivity is included as standard! There is optional 400-watt Infinity audio system that comes with 9 speakers for an incredible sound quality to help you enjoy your ride even more. Apart from being offered as an all-wheel drive, the Hyundai Sonata also comes with a standard 2.4l 4 cylinder engine which is rated at 185 horsepower and 178 pound per feet of torque. The EPA fuel economy for the SE trim level is rated at 30 mpg combined. i.e. 25 city and 38 highway. The limited and Sport trims have an EPA fuel economy ratings of 29 mpg combined i.e. 25 city and 36 highway. The standard safety for the 2016 model include traction and stability control, antilock disc brakes, driver knee bag, full length side curtains and front seat side bags. Other safety features include a rear view camera, Hyundai’s emergency telematics system, crash response, roadside assistance and remote door lock control. The more expensive models such as the Limited and Limited 2.0T, and these include lane departure warning, and automatic emergency braking as well as more. The 2016 model has been fully redesigned. It pushes the boundaries of the midsize sedan with a sleek new exterior design, more effective aerodynamics to reduce drag and increase fuel efficiency. New headlights that are HID, and a powerful grille demand attention whether you’re driving or sedentary! The cabin is spacious and quiet so you can enjoy your ride in peace! 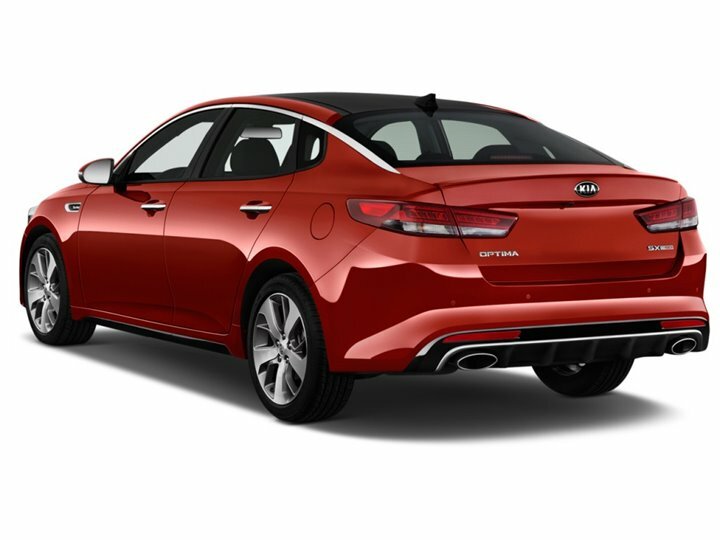 The 2016 KIA Optima is available in four trim levels, the LX, SX, EX and the SLX trim levels. The LX has been engineered with 16 inch alloy wheels. The Convenience package is optional for the LX trim level and features power folding heated mirrors, an auto dimming rear view mirror and an eight-way power driver seat. A Technology package is available for the LX 1.6T trim level and features laminated front door windows, driver memory setting and an auto dimming rear-view camera. 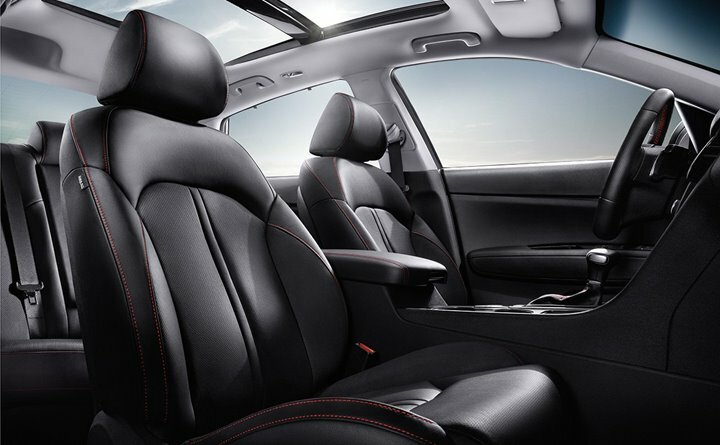 The interior of the 2016 KIA Optima is not only exceedingly spacious but also highly accessible and functional. Like KIA Optima has been engineered with full power accessories, air conditioning, cruise control, a tilt and telescoping steering wheel, a 5 inch central display and auxiallry jacks. An optional premium package is available on the EX Premium trim level and features an 8 inch touch screen, LED interior lighting, heated and ventilated seats together with a panoramic sunroof. As an all-wheel drive, the KIA Optima comes with a standard 2.4l 4-cylinder engine which delivers an estimated 185 horsepower and 178 pound per feet of torque. Alongside the 2.4l engine, a 6 speed automatic standard is also offered as standard. The EPA fuel economy for the KIA Optima is estimated at 28 mpg combined i.e. 24 city and 35 highway. Fuel Economy shows the car to use 9.4L/100 km and the DMS includes Driver Selectable Steering and Active Eco. Named one of 2016’s safest cars, the Optima has Antilock disc brakes, front seat side airbags, side curtain airbags and driver knee airbags are standard. A rearview camera is offered as standard while a 360 degree surround camera is offered as optional. Other key standard safety features include rear cross traffic alert, rear parking sensors, lane departure warning system and emergency auto braking are also standard. 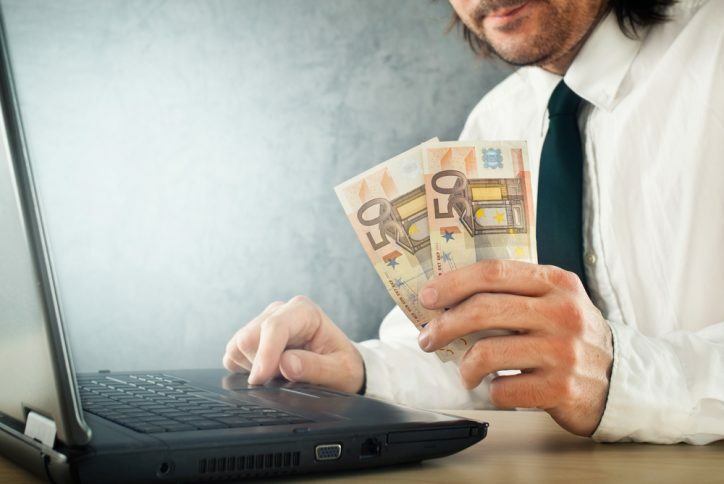 This model is a tremendous value purchase in comparison to the other previous versions. There is a six-speed Select Shift Automatic transmission and an excellent fuel consumption rate. The car is designed with the environment in mind and has a 188 horsepower, 2 liter engine that delivers the efficiency of a hybrid engine. It has a beautiful interior and exterior and extras can be added on at extra cost. Starting at just over $22,000 Ford has once again delivered a midsize car that not only meets design and efficiency requirements, but value too. As a 5 passenger sedan, the 2016 Ford Fusion is available in 3 trim levels; the SE, S and the Platinum. The Fusion S trim level comes with 16 inch alloy wheels, full power accessories and automatic headlights. On the other hand, the Fusion SE trim level comes with 17 inch alloy wheels. An appearance package is offered in the S trim level and features 18 inch alloy wheels together with a rear spoiler. Coming in 10 different colors you can choose the car that you really want. 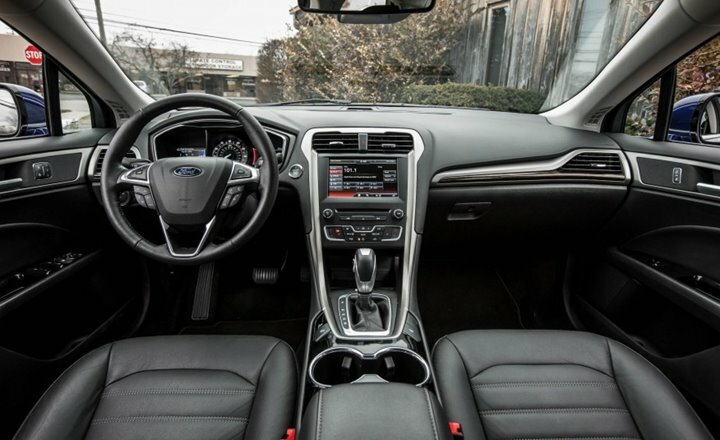 The interior of the 2016 Ford Fusin is neatly designed. The dashboard and the seats have been given a cool and urbane style to them. The driver’s seat has been designed in such a manner that it can be easily adjusted. It also provides a good view of the lanes. The cabin space is estimated at 16 cubic feet which is about the normal size for a majority of medium sized Sedan’s. There are options for leather trimmed seats in a variety of colors, an available Sony Audio System that comes with 12 speakers. 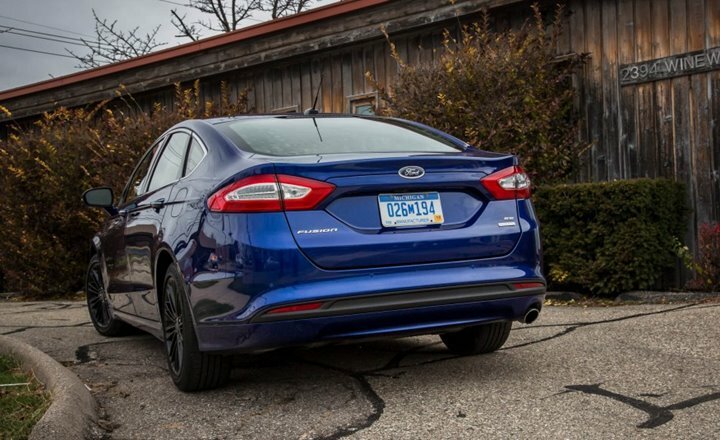 The Fusion SE and S trim levels have been designed with a 2.5l 4-cylinder engines which delivers an estimated 175 horsepower and 175 pound per feet of torque. The EPA fuel economy rating is estimated at 26 mpg combined i.e. 22 city and 34 highway. Antilock disc brakes, front seat side airbags, side curtain airbags and traction and stability control are offered as standard. A Ford Sync System which features an emergency crash notification system is also standard. The 2016 model has been fully redesigned - the 2016 Malibu is set to cut through the tedium in the world of midsize family cars. 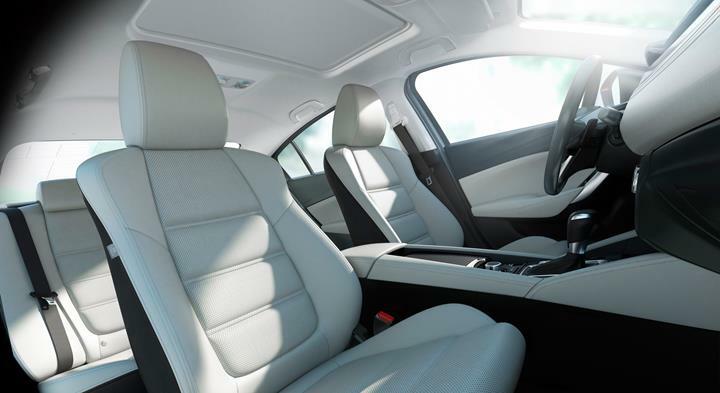 The car interior has a rear seat which spacious giving you a a lot more leg room than previous models. The materials and design are also overall leading to an very luxurious and upscale look. It’s an ideal family car and the fuel efficiency allows your dollar to go a lot further than before. 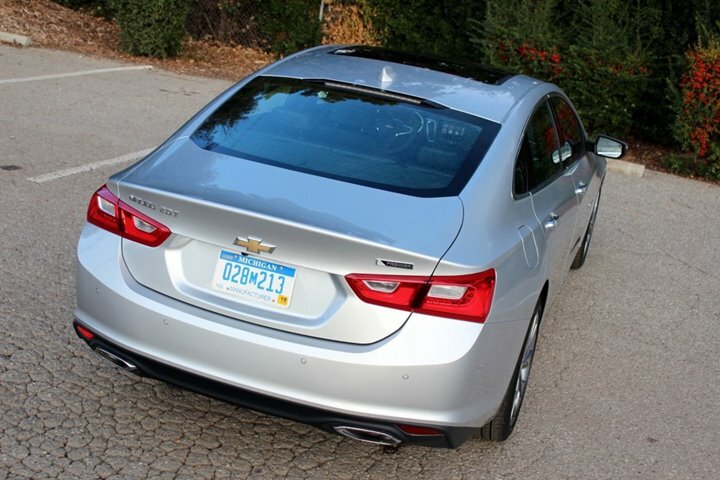 The 2016 Chevrolet Malibu is offered in 4 trim levels, the LS, L, Premier and LT. The LT is again divided into the 1LT and 2LT. The L trim level comes with 16 inch alloy wheels while the LS model comes with automatic headlights, a rear view camera and 16 inch wheels. The 1LT sub trim comes with 17 inch wheels, heated mirrors, LED daytime running mirrors and rear climate vents. Unlike its predecessor, the 2016 model is much sleeker. 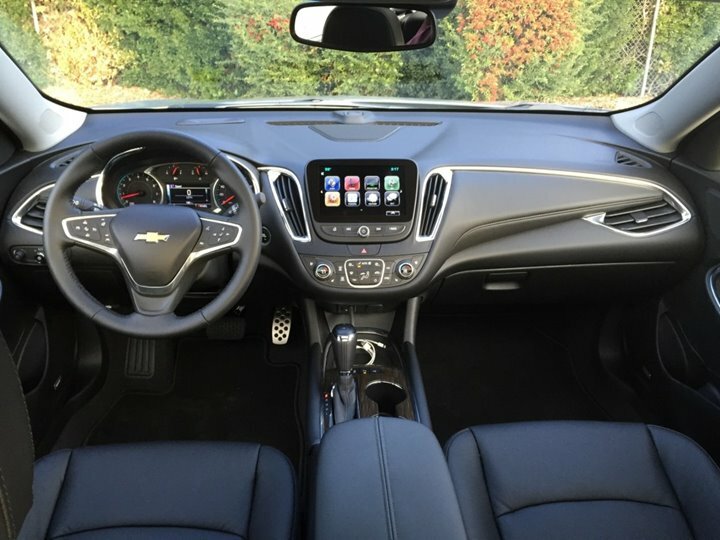 Apart from having a well-appointed and exceedingly attractive cabin, the 2016 Chevrolet Malibu boasts of newly designed dashboard together with a set of gauges. The Gauges have been given a more modern look while the climate controls display a little bit of knack. As an all-wheel drive, the 2016 model is offered with a 6 speed automatic transmission system and a 1.5l 4-cylinder engine which is rated at 160 horsepower and 184 pound per feet of torque. The EPA fuel economy for the Chevrolet Malibu is rated at 31mpg combined i.e 27 city and 37 highway. The 2016 model comes with stability and traction control, anti-disk brakes, front side airbags, side curtain airbags and rear side bags. An OnStar Telematics system is also offered as standard. The 2016 model has undergone a number of changes. 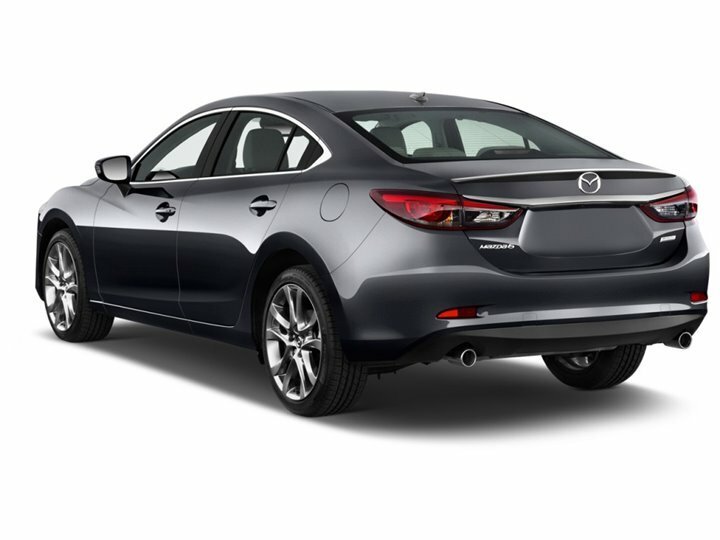 The Mazda 6 Grand Touring trim has been engineered with a revised rear and front styling. 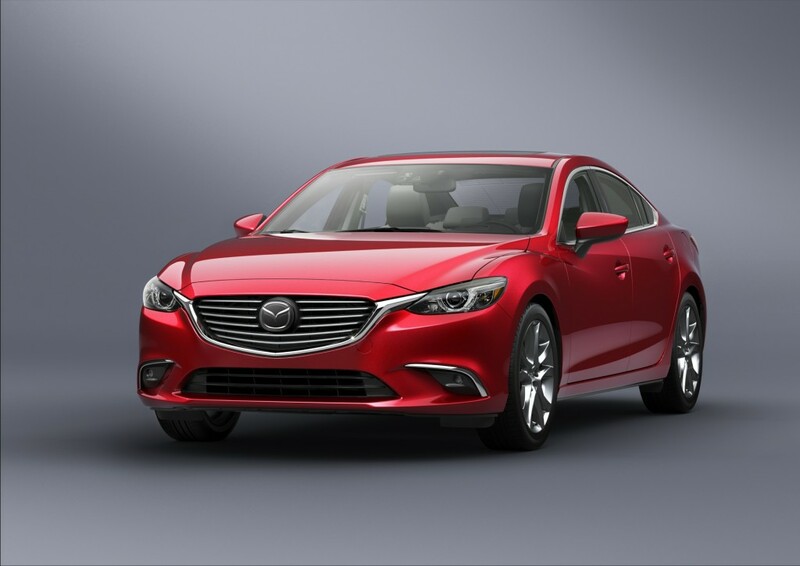 2016 Mazda 6 is one of the best vehicles in the history of the midsize car evolution. It has a roomy cabin, impressive fuel efficient performance and agile handling. The 2016 Mazda 6 is a good choice for you if you’re looking for something to give you personality and ego when you emerge from it. The standard features for the base model include, 17 inch alloy wheels together with LED taillights. On the other hand the Touring trim comes with 19 inch alloy wheels, blind spot monitoring and cross traffic alert system. 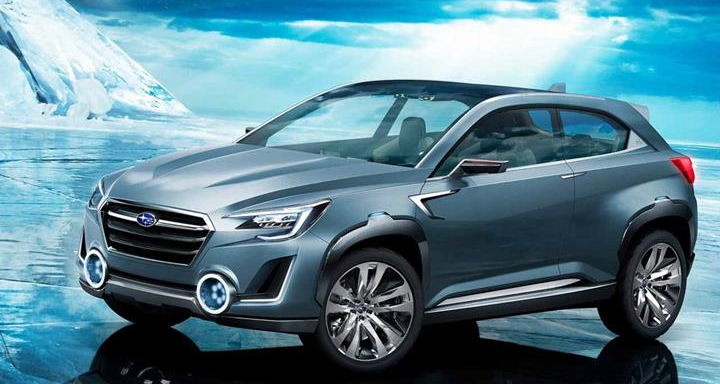 The Grand Touring trim level comes with 19 inch wheels, a rear spoiler and LED fog lights. A tilt and telescoping steering wheel, blind spot monitoring, premium vinyl leatherate, dual automatic climate control, a sliding armrest and rear conditioning vents are offered as standard in the Touring Trim. Other key features include Audio and Bluetooth phone connectivity, a 6 speaker sound system, a multi-information display and a 60/40 split rear seat. The Touring trim has been engineered a keyless ignition and entry, a dual automatic climate zone, a sliding console armrest and a 6 way power driver’s seat. The Mazda 6 has been engineered with a front wheel drive and a 2.5l 4-cylinder engine which delivers an estimated 184 horsepower and 185 pound per feet of torque. The touring model and sport model comes with either a 6 speed automatic transmission system or a 6 speed manual transmission. The EPA fuel economy for the Mazda 6 is estimated at 31mpg i.e. 26 city and 38 highway. 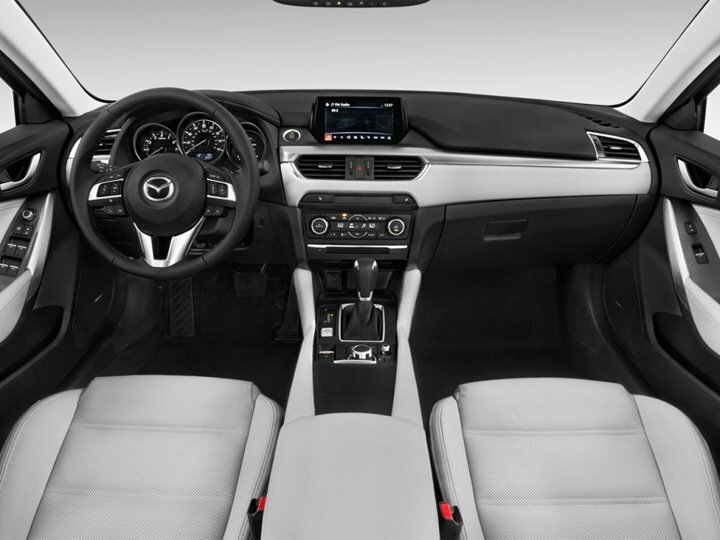 Standard features for the Mazda 6 base model include full power accessories, multi-information display, cruise control, audio and Bluetooth connectivity and a 6 speed sound system. The Touring trim level comes with keyless ignition and entry, premium vinyl upholstery, a dual automatic climatic zone and rear cross traffic alerts as standard. An optional package is available for the Touring 6 base trim level and features a sunroof, 11-speaker Bose system and a satellite radio. It has blind spot monitoring, lane departure warning system, and smart city brake control. The car is highly responsive, quick acceleration ability, sporty handling well-built interior and stylish looks.